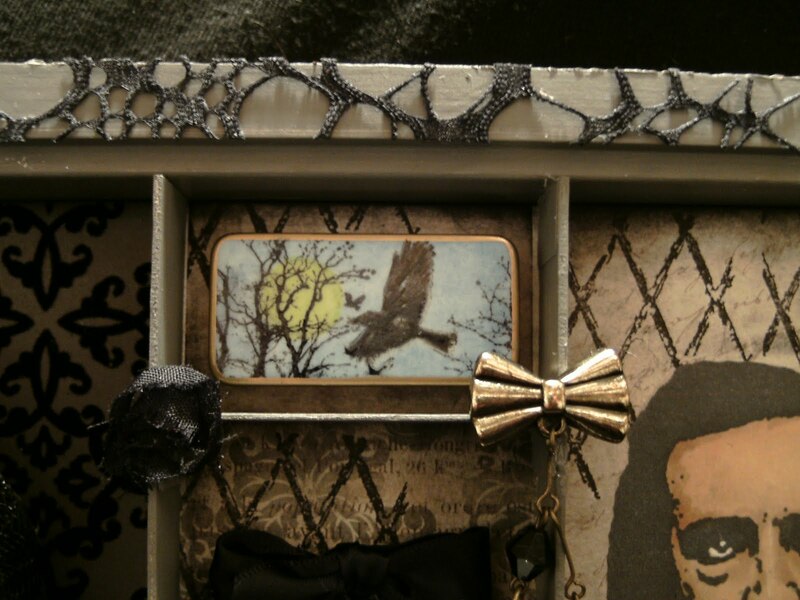 Blackdragon's Crafts: QUOTH THE RAVEN, and SMEARED and SMUDGED MEMBERS BLOG HOP. 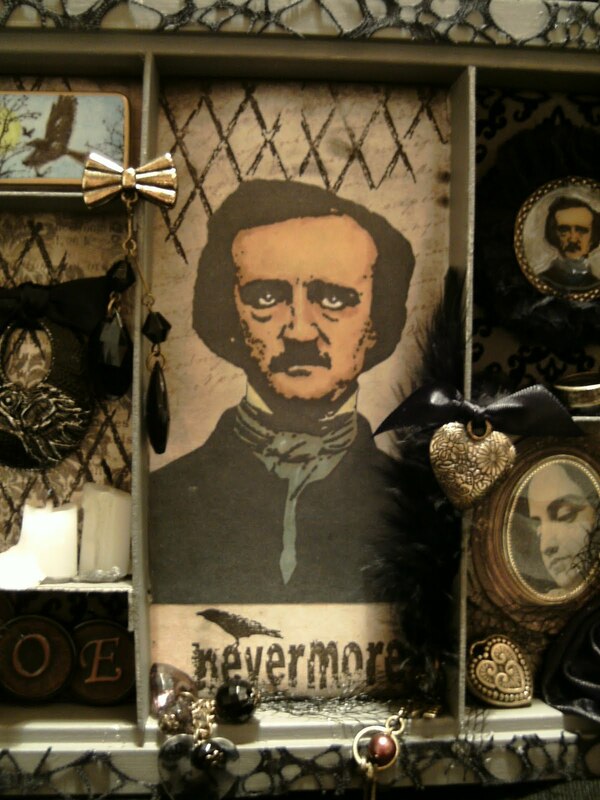 QUOTH THE RAVEN, and SMEARED and SMUDGED MEMBERS BLOG HOP. Well the big day is finally here and if you want to know who won all the rubber stamps and 2 sets of brilliant digi images at QUOTH THE RAVEN, you'll have to pop over there and take a look.... just click on my title...it'll take you there. 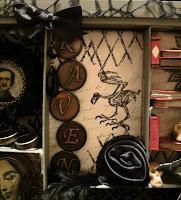 For our first challenge we chose RAVENS.... what else could it possibly be? 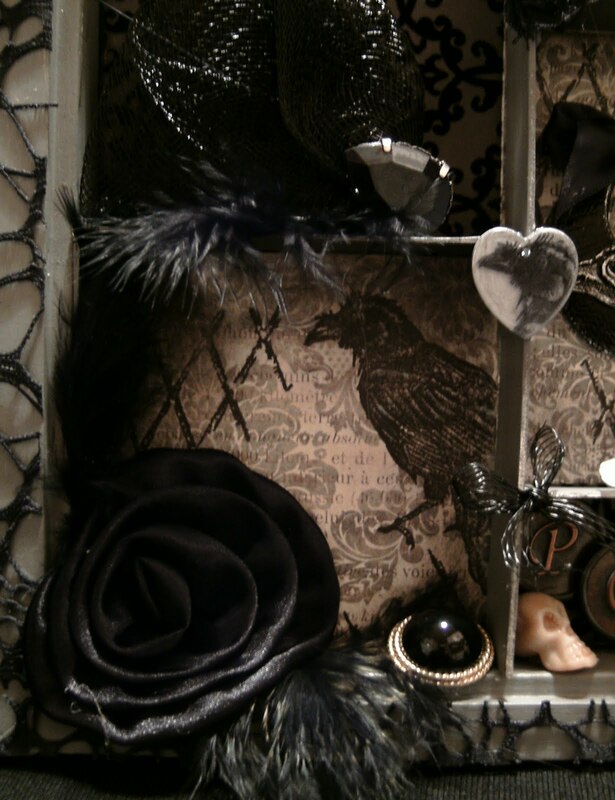 So you have two weeks to create something.... anything you want.... you dont have to stamp.... it can be cut 'n' paste, digi, knitting, metal work, embroidery ANYTHING you enjoy doing...... but must have a RAVEN somewhere. 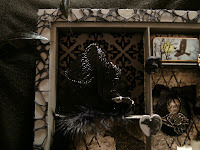 I combined my piece with the SMEARED AND SMUDGED members January blog hop...our theme for this hop is MESH.... Oh yes i like mesh.... tatty black mesh is a must! about 19''x9''....... and there is a lot to see. i have used mainly SMEARED INK STAMPS ...but the odd one from Ike... look closely and you'll see the pendant i made for HDH on monday in there.... the skeletal Raven from de-stempelwinkel....... loads of bits and pieces...ribbons made into flowers...a couple of wedding rings, candles...oh lord heaps of stuff....and tiny little skulls...Thanks Tori! 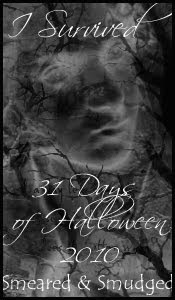 I hope you'll come and play with us at QUOTE THE RAVEN...and i hope you'll also check out all the fantastic inspiration that the Smeared and smudged members will be sharing with us on this hop. Thanks for visiting me today.... i am so pleased that the POE CHALLENGE BLOG is finally up and running. 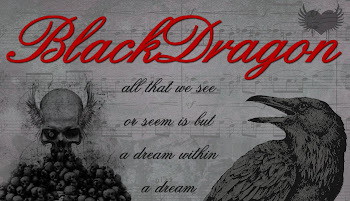 Wow "Blackdragon" this is intense, and fabulous, and to the earth, and to the dust, and from birth to death, and see our shadows without fear, and and and. You are one brave maven! I love it. Your artistry is very finely attuned - that is so obvious by every little detail of care and refinery that you took on the frame. I was shocked when you said the size of it. Yup, what a huge undertaking. I admire that - one so dedicated to their creative juices and just lets them be and come out into the public. You're awesome! 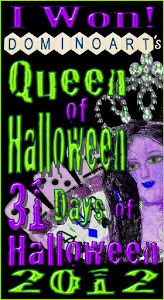 I'm so glad (crazy word) I am so thrilled that you brought your card over to Stamping with the Dragon's Challenge. It was a pleasure to see this and I wish you great success in the challenges and of course ours at SS. Love and a hug for the New Year. Samara - DT - SS. xox p.s. 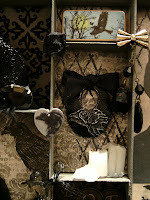 visit me anytime to say hello - you seem like one uber cool chicklette! WOW!!!! Stunning! I could spend hours looking at this and still find something new and exciting to see. Your work is FAB Lynx.......but this time you have excelled yourself. Beautiful! Amazing! Every cubby is filled with such detail. I love the black mesh around the frame, all the pendants and embellies, and all the elements that make you awesome! This piece is saturated with perfection...When I grow up I want to have at least an ounce of your creative power....You are the real thing! I bow to you, mighty Dragon! Wow, another superior piece of Art work! 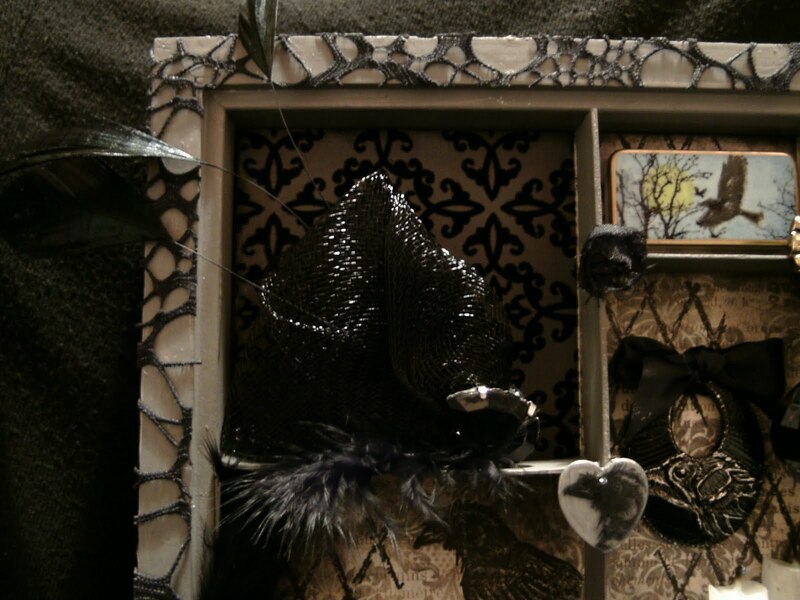 Your show box is stunningly amazing! All your attention to detail is truly a sight to see! I am so loving this! I just truly love your work and you!! I could sit here all day, looking at your project & tell you how wonderful it is! Just beautiful!! Oh this is so amazing! 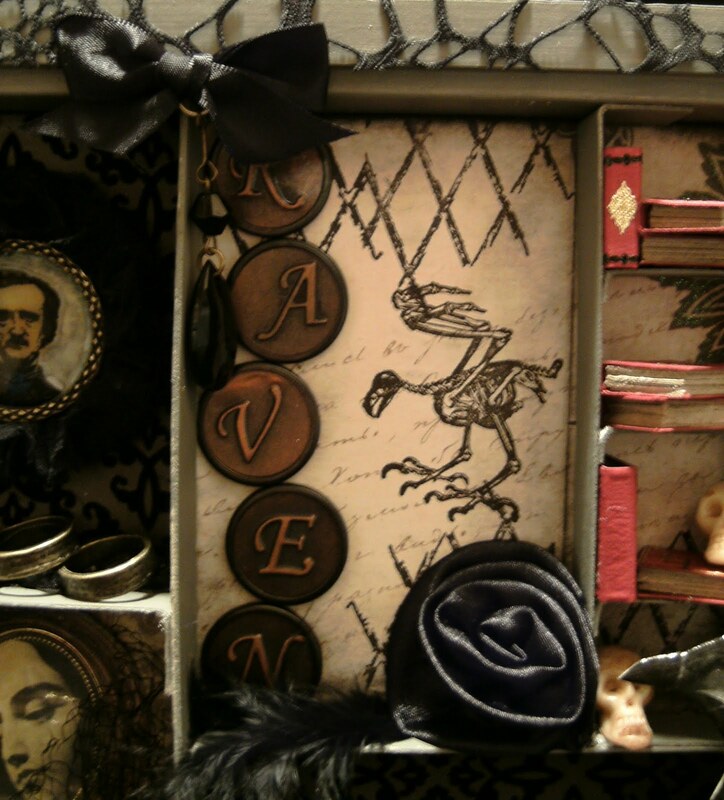 I have been wanting to do a Poe/Raven shadow box ever since getting my Poe stamp set and - WOW - have you inspired me to get to it. You have such beautiful and detailed elements here, I am major impressed. You have created the perfect mood with such elegance!! Amazing! The details are incredible and I am so glad you went to such lengths to share! Wow, that's a breathtaking piece again. 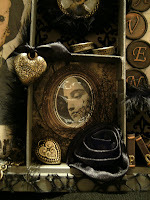 What an awesome assemblage piece- and I love how you snuck in my favorite Urban Decay image too! I absolutely love your shadow box! 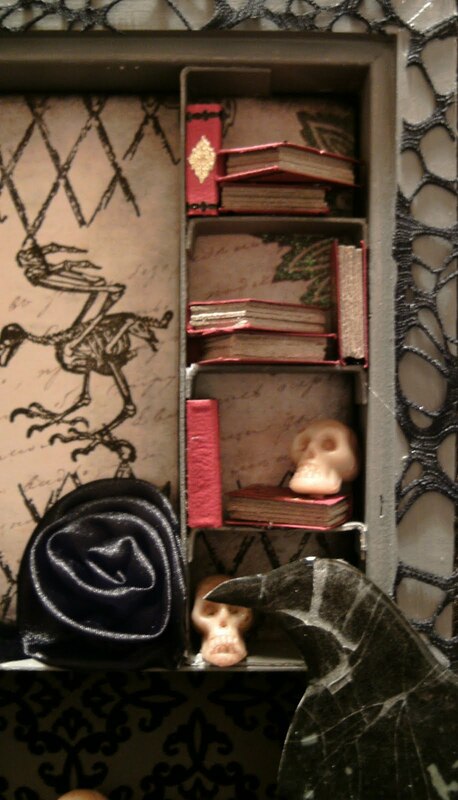 I must ask... how do you make the little books? I think I need to learn how to make little pieces to go in and on projects! 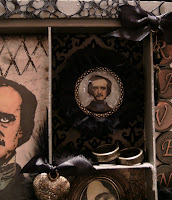 I am thinking of what I want to create for the NEW POE challenge! I am very proud of you and the other ladies for doing something that you LOVE! Hugs! I'm with Sara...how did you make those books?!? this is so cool! so much to take in and look at! 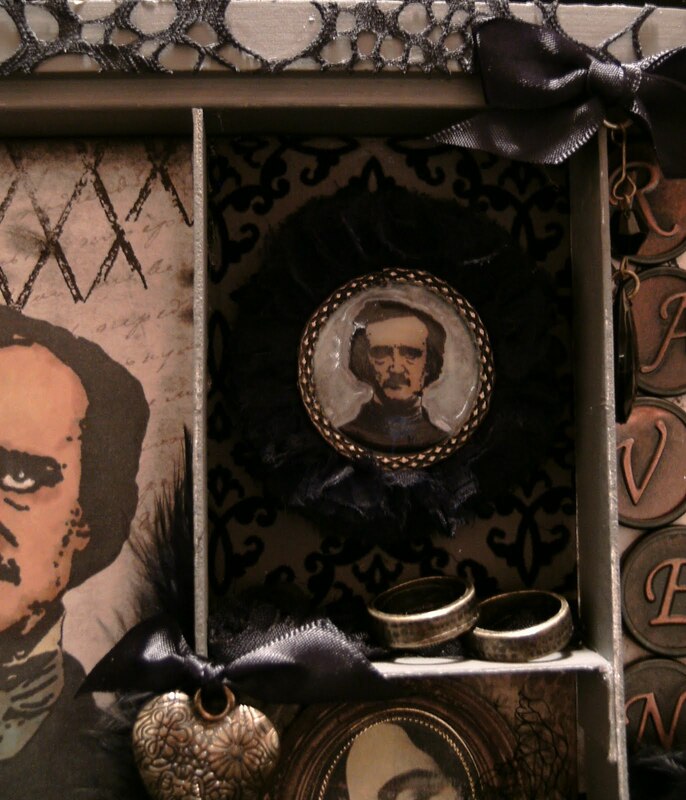 you have such a passion for POE and it shows in your work! I love it!!! and I'm super excited for the new challenge blog! wow BlackDragon you so need to sell these and become a more famous artist than you are now so I can say I know a famous artist. Or you could hire me to clean your craft room or whatever. Wow I must say this is the best one I've seen from you so far. This is amazing. So much to look at its awesome. I love the "Bird of Paradise" Feather's in the top left. From the top of the male's head. They have a rough time trying to dance for their lovin. BD...you amaze me! 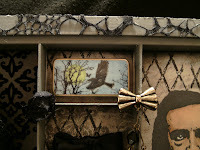 I think I must try to make a shadow box...so I may be bugging you for tips on how to begin. Thanks for playing with SA on your off week! really nice work Black Dragon..Lots of hours in on this project and it shows. Really awesome work. Wow, I don't even have words to describe how amazing and wonderful this is. I can't imagine how many long hours your put in on this one, but it was totally worth it. It's a total masterpiece! I so wish I could see it IRL because I know the details just can't be captured in photos. So glad you joined in the fun this week at Simon Says Stamp and Show for our Red Letter Day challenge. Thanks so much for sharing it with us. What a lot of details that make this peace of art so very special!